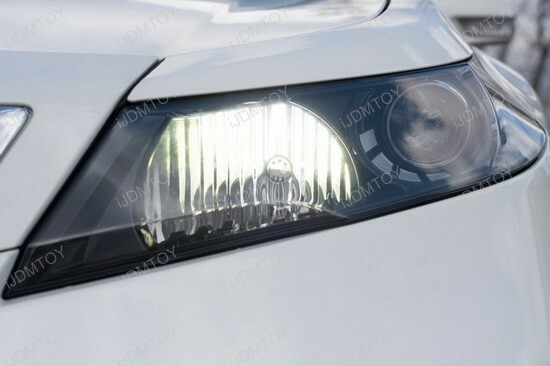 For majority of the cars you see on the road, you will notice that during the day the daytime running lights are a dull and unattractive yellow color which blends into the other vehicles on the road that share the same light. 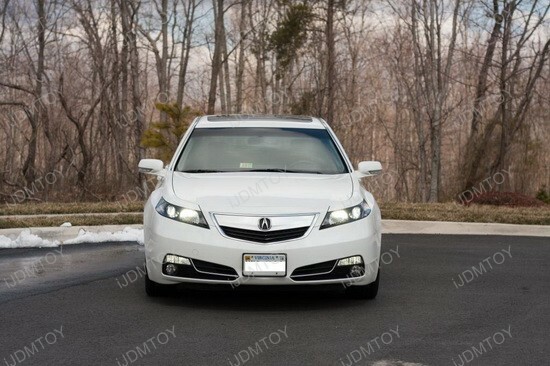 Car enthusiasts like you and I want to obtain a look that stands out from the rest and create a unique look that will be sure to turn heads where ever you go. 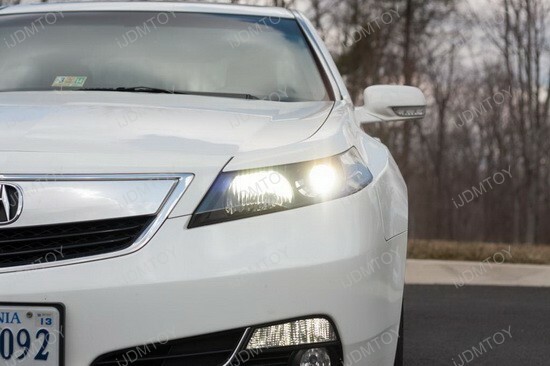 We are proud to reveal our 15w High Power 9005 LED replacement bulbs being used on a 2012 Acura TL’s daytime running lights/high beams. 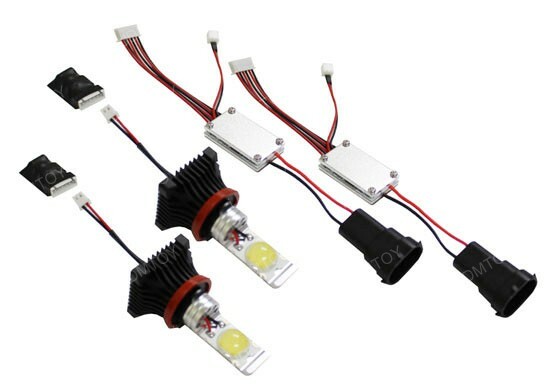 Unlike regular LED bulbs which require load resistors and special components to function without errors or flickering, these are installed by themselves and have no issues; the lights operate at 15w so they consume enough power draw to function without needing any special components. 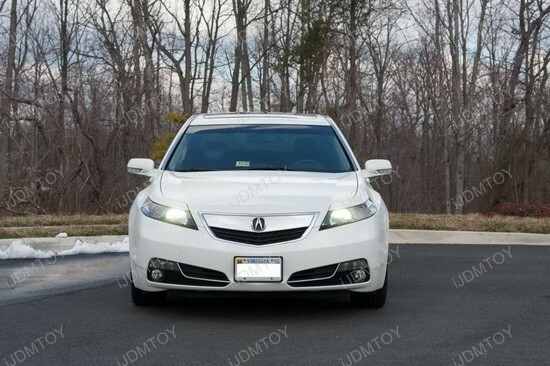 The color of these LED lights are rated at around 4500-5000K so they are an almost perfect match to the factory installed HID/Xenon headlights that come with this vehicle. 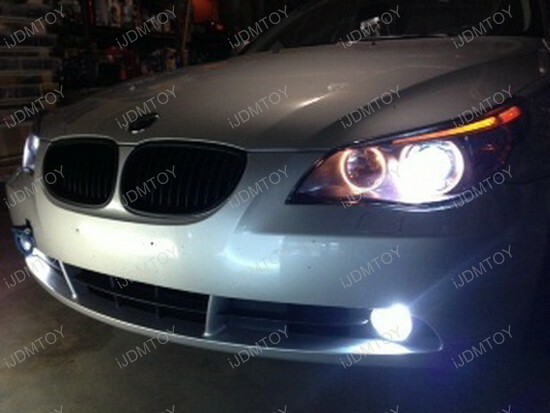 The high power Samsung LED chip produces a bright 1200 lumen output; a noticeable difference from the factory 800 lumen output during daytime running light mode. 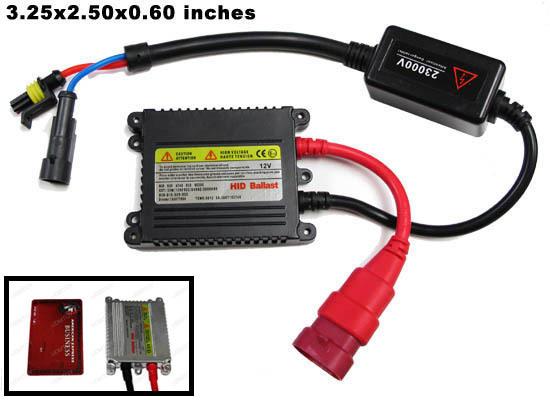 The lights are completely plug and play and require no modification to the factory parts, all it needs is a location to mount the fan/ballast/driver assembly just like mounting an HID ballast. 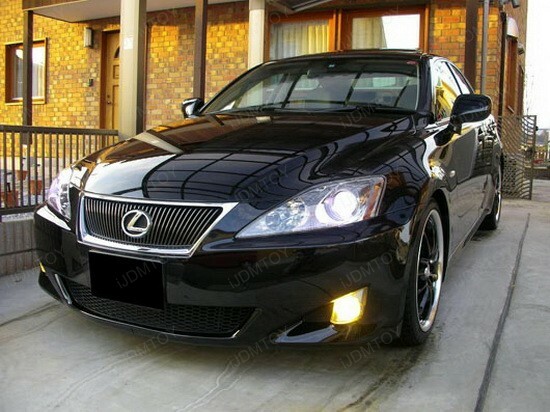 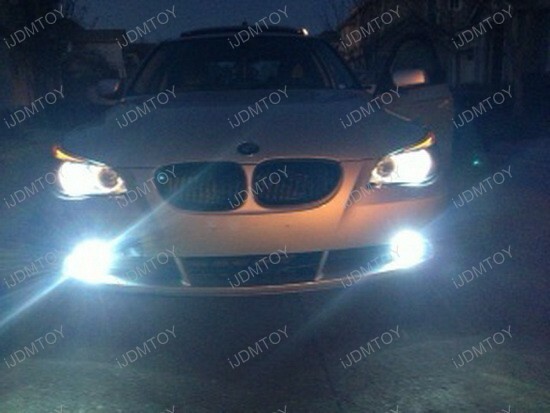 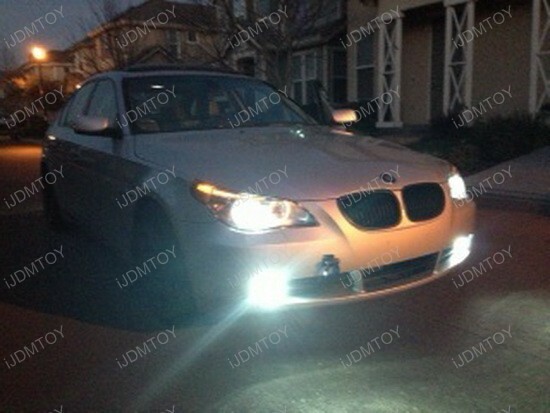 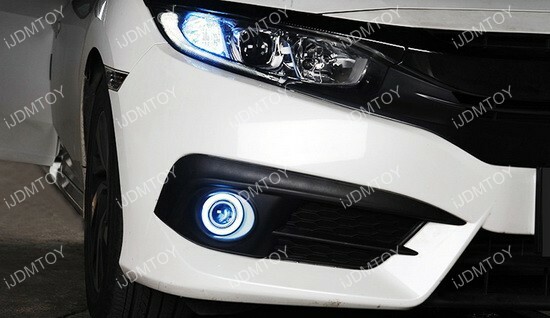 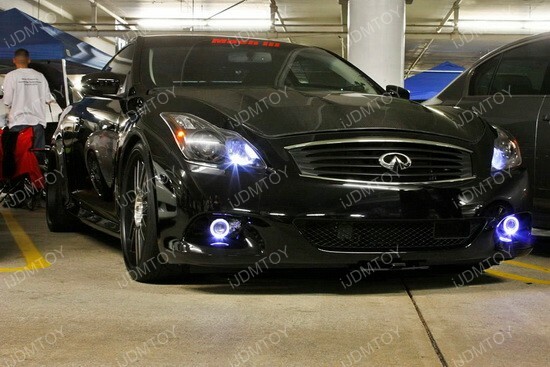 A matching set can also be purchased for the fog lights so the same type of light can be used when you are driving at night with your low beam lights on to complete your vehicle’s lighting transformation!